Immersion Heating Element is mainly installed either flanged or threaded in the tank or containers to heat liquid like any water, oil or chemical. If you want to place your order for the same and searching one of the trustworthy Immersion Heating Element Manufacturers in Delhi, Sunrise Products is the one, you can go to. It's mostly used in the household sector for heating the water. Best to be used for those tanks that don’t support any heater. 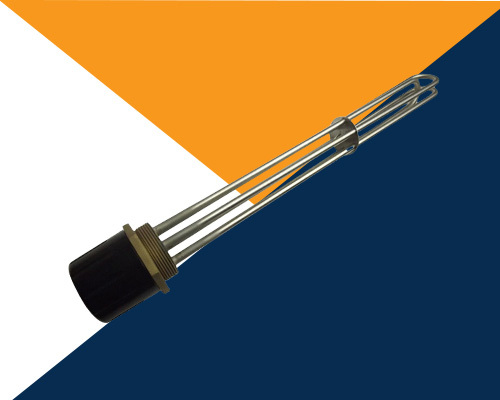 Bobbin Immersion Heating Element has a strong body and is made of robust technology. Require very less space for installation and can be used easily. Choice of size and design based on the need of your particular application. Drop Us Your Email Now! We are one of the steadfast Water Immersion Heater Element Exporters and Suppliers in India. You can drop us your enquiry to order, directly from the website or via a call on the given numbers. Our executives would be more than just happy to help you. Get our support instantly, and get to experience the brilliance of our products by yourself.